We recently bought a plastic toy gate at a garage sale to help as we start babyproofing. It’s in relatively good shape, but clearly needs a new set of batteries. We’ve had many toys over the years that have become possessed once their batteries start to fail. A music table that started to sound like a funeral procession. A baby swing that refuses to shut off (we stopped using this one after a harrowing baby extraction). But this gate takes the cake in terms of creepiness. I added a few of my older daughter’s most haunting dolls for effect. 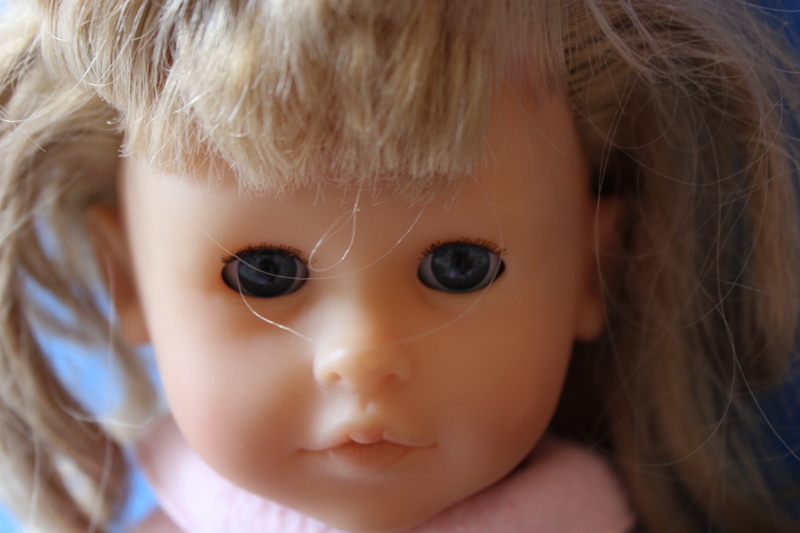 Seriously – if I die in my sleep tonight, I know without a shadow of a doubt that this doll did it. So. Who wants to come over for a playdate? In the office I worked in we had a lot of toys because we did home visits with children. One night I was working late in the office alone and a stuffed Big Bird started saying, “Peek-A-Boo.” It was creepy. I went home!